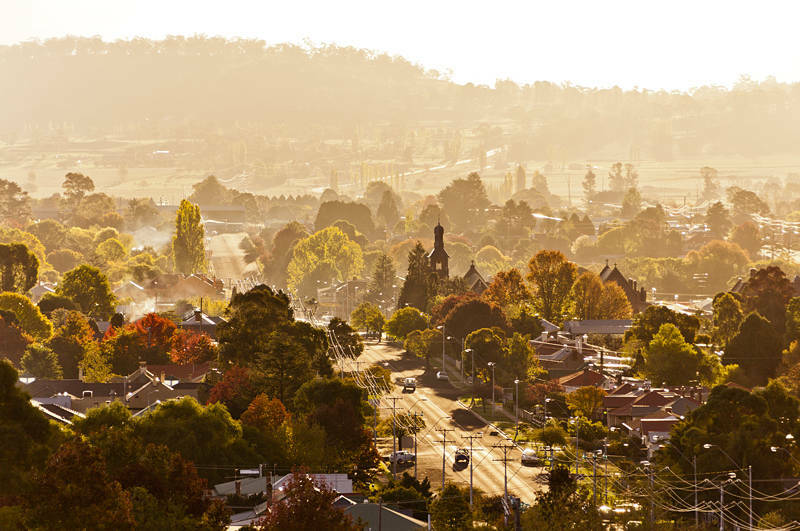 This is the town of Glen Innes in New South Wales, Australia. It is twinned with Pitlochry in Scotland, UK. I suspect there have been a number of Scottish settlers, since many of the places in the area have Celtic names. This shot was taken in what photographers call the golden hour. This is the hour before sunset or after sunrise, when the light is warmer, and it is easier to balance the exposure between the sky and the land. We left Sydney on Monday and spent our first night camped at Burning Mountain. It was assumed to be volcanic, although when geologists investigated it was discovered that the smoke was due to an underground coal seam, which has been burning for thousands of years.